Waldorf, MD – JESCO Incorporated, a John Deere Construction Equipment Dealer in four states throughout the northeast, broke ground on its newest facility in Waldorf, MD on November 28, 2016. Located at 9B Industrial Park Circle, the new site is strategically located to serve the Southern Maryland and the greater Washington DC area. The 17,043 sq. ft. facility will be constructed on 5.08 acres, will house a total of 9,417 sq. ft of service area and is equipped with six modern bays; the new building will allow for future expansion additional service bays. Providing the highest quality service and products has been a core function of JESCO’s business model for 44 years and will continue to be fundamental as the company expands it footprint in the industry. “2017 is poised to be an exciting year for JESCO” says JESCO President Jonathan Robustelli, “JESCO will celebrate its 45th anniversary in 2017 and we are excited to add the Waldorf branch as a full service facility in Southern Maryland.” Robustelli adds, “The expansive parts warehouse, additional yard space and rental capability of this branch will allow us to better serve our customers’ needs”. In addition to a full line of John Deere construction and compact equipment, the new location will supply Ditch Witch products, Bomag road building equipment, Genesis demolition tools, Indeco hydraulic breakers and Hydrema compact dump trucks for sale and rental. JESCO anticipates the Waldorf facility to be fully operational by the fall of 2017. Once completed this will be JESCO’s twelfth operational branch. Other areas serviced include Baltimore, Frederick, Delmar, District Heights and White Plains, Maryland; South Plainfield, Mount Holly and Fairfield, New Jersey; Beacon and Deer Park, New York; Middletown, Delaware and Shrewsbury, Massachusetts. For more information, call 800.241.7070 or visit http://www.jesco.us/. Chairman Mendelson has now released a tentative listing of committees for Council Period 22 (2017-2018). Every element of this list is tentative, and will remain so until the Organizational Meeting to be held on January 2, at which time the Council will formally approve its committee structure and rules for the two years to follow. The DC City Council voted to pass the Paid Leave Act in an amended form on December 20, 2016. The Act received its required first vote at the previous Legislative Meeting earlier in December, and passed by a vote of 11 to 2. In the interim, an alternative version of the bill focusing on an employer mandate rather than a payroll tax was circulated. 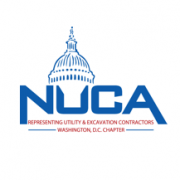 NUCA of DC supported this version of the paid leave act. It was introduced as an amendment in the nature of a substitute, but was subsequently defeated by a vote of 8 to 5. An amendment was accepted that mandates a review of the bill three years after implementation, to determine if the tax rate and/or benefit levels should be revisited. In the end, the bill as amended passed by a 9 to 4 vote. The core benefits and funding structure of the bill did not change between readings: the bill provides eight weeks of care when a new child joins a household (through birth, adoption, foster care, or assumed legal guardianship), six weeks of care for sick relatives, and two weeks of self-care. A 0.62% tax rate would be applied to employer payrolls, generating a maximum $1,000 weekly benefit. Employees would receive a benefit equaling 90% of their salary, up to 1.5 times the minimum wage, then 50% of their wage, up to the previously stated maximum. Under the approved structure, the benefits will be administered by a yet-to-be-established District agency. The DC City Council voted Tuesday to implement a plan to provide more than half a million workers with eight weeks of paid leave for the birth or adoption of a child, one of the nation’s most generous paid family leave programs. Tuesday’s 11-to-2 vote by the D.C. Council came despite concerns that the leave program would harm small businesses and cost some workers their jobs. Although three states guarantee paid family leave, all of them fund the benefit in part through employee contributions. DC’s plan is proposed to be funded by a payroll tax and administered via a new city department. DC Mayor Muriel Bowser has not said whether she would sign the bill, but the 11-to-2 margin would be veto-proof if it holds when the council votes again. Critics of the plan cited the program’s costs, its uncertain effect on businesses and the fact that more than 60 percent of those who would get the benefits live in Maryland and Virginia.